Jul 07, 2016 Which Rich Piana Pre Workout is for You? 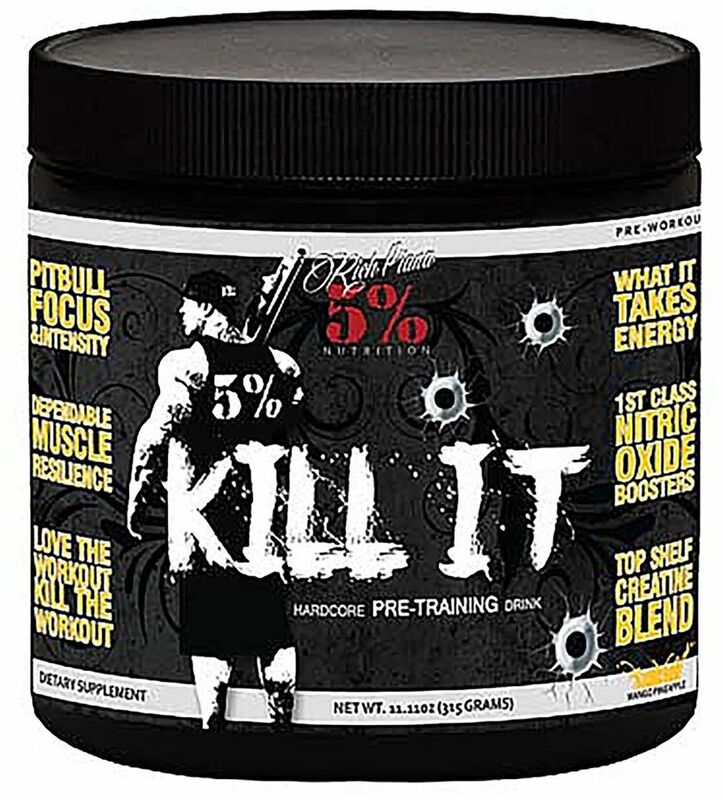 Feb 18, 2015 Rich Piana 5% KILL IT Pre Workout – Does it Kill? Like the name says… you need to kill it! 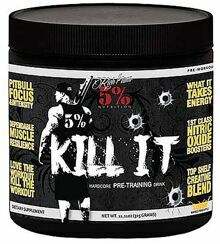 From the extreme personality that is Rich Piana comes the ultimate pre-workout Kill It. This is a stimulant pre-workout to help you achieve high energy, bulging vascularity, big pumps, and laser like focus. 5% Nutrition always does an excellent job of making sure their products are not underdosed and potent enough to get the job done. What Makes Kill It Work? Creatine Magnapower - Creatine definitely works. We know that. But creatine magnapower works the best of all. This version doesn’t require huge dosages and is easily digestible and well absorbed. No bloating here! Caffeine - You can’t have a stimulant pre-workout without caffeine, so of course it’s included here. 5% Nutrition didn’t want to overload you with stimulants though. They are a big part of pre-workouts, but can interfere with heart rate and pumps. So, caffeine is the one and only stim in this product. Agmatine Sulfate - Agmatine is the best pump ingredient out there right now. And it is in here at 750 mg. Arginine doesn’t compare to this stuff. Agmatine gives better and more pronounced results. Citrulline Malate - Along with arginine, this is also used to increase NO production. L-Norvaline - This is able to block the enzyme arginase and prevent it from destroying the valuable nitric oxide produced. Niacin - This is a B complex vitamin that is used to increase circulation. There is enough provided here to get this effect and avoid any flushing or itchiness. COP (Creatinol-O-Phosphate) - When you’re training hard, your body starts to block off activity to working muscles to reduce damage. COP stops this from happening. Beta-Alanine - This enhances the effect that COP gives. N-Aceytl L-Tyrosine - An ingredient to improve focus, reduce stress, and put you in a better mood. Coconut water concentrate - Coconut water has all the essential vitamins and minerals, aminos, enzymes, and antioxidants you need to replace after sweating a lot. Prevents cramps and dehydration. 5% Nutrition recommends starting with half a scoop in 8 ounces of cold water 30 minutes before your workout. Once you have determined your tolerance, increase dose to 1 scoop. To avoid insomnia, do not take within 4 hours of bedtime.